April 21st, 2019 1pm sharp! 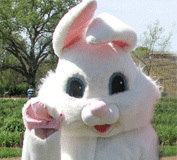 Join the Easter Bunny for an egg hunt at Amador Flower Farm! She hides her eggs here every year and kids (toddler to 13 yrs old) have a great time hunting for them in the daylilies. Come early then join us at 1:00pm sharp in the daylily growing grounds. Take your picture with the Easter Bunny and enjoy a picnic. Don’t forget your camera and don’t be late!